Who doesn't love stacking rings! 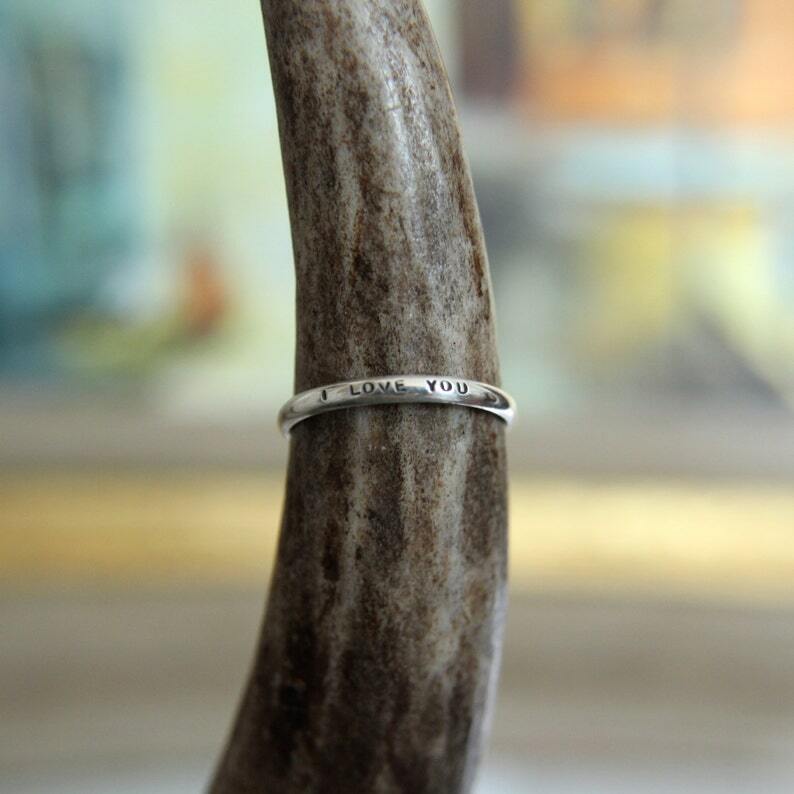 A perfect pairing with my gemstone stacking rings are these super thin domed bands with teeny personalized messages stamped on them. I can stamp any message, they make perfect gifts or a special memento for yourself. The letters on these rings measure 1/32" so they're super small! I can fit up to 40 characters including spaces and punctuation. AVAILABLE IN 14K SOLID GOLD! Just contact me for a quote! *Please contact me for wholesale inquirires and multiple piece purchases! These make great gifts for bridesmaids! If you plan on purchasing multiple rings to wear together on one finger, I would suggest sizing up a bit for fit. 2-3 size up 1/4 size, 4-5 size up 1/2 size. I can size these up about 1/2 size free of charge (you pay return shipping), convo me for details. Each ring is hand made by me, and shipped from my San Diego studio. Please afford me time to create package and ship your purchase. If you need your item rushed, please convo me for rush pricing. Sweetheart ring. Sterling silver heart ring. Valentine and Lover ring. The ring was exactly what I was looking for! Shipping was quick and seller was communicative.